Since installing OS X Yosemite, I’ve had a problem: Every time I try to save anything in Chrome, the Save Sheet interface is so long it runs off the screen, making it impossible for me to click “OK” or “Cancel.” I assumed it was something I had done, but nope, it’s a particularly annoying Yosemite bug. Here’s how to fix it. 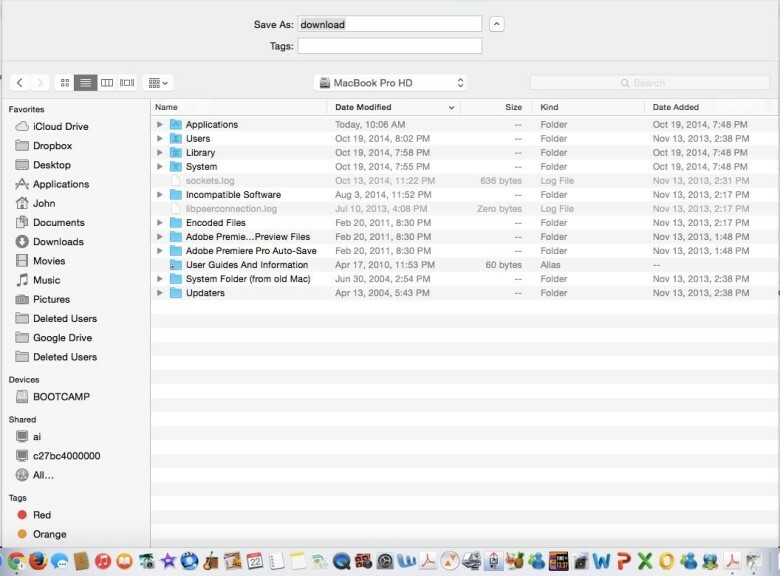 According to [Jon Gotow of St. Clair Software], what happened is that Apple changed the file dialogs so that the title bar is now considered to be part of the window—and changed the math everywhere except in save sheets. It seems like a pretty serious bug, and one that Apple has apparently decided not to fix in the OS X 10.10.1 update. Luckily, there’s an easy way to fix it. If you’re comfortable in Terminal, there are a few commands you can use, which you can find here. But the easier way is actually to just hold down the shift key and drive inward on the edge of the save sheet, which will make the whole Save Sheet shorter. Give it a try if you’re as annoyed by this bug as we are!